"won her first two starts over fences and failed to give her true running in a Listed chase at Newbury last time out"
This looks a tricky handicap but I can't see Dan Skelton's charge Molly The Dolly being far away, she won her first two starts over fences and failed to give her true running in a Listed chase at Newbury last time out. But that was behind Grand National runner up Magic Of Light and I think you could make excuses for her that day. She has been given plenty of time to get over that performance and with the Skelton team in good form, Dan Skelton in the plate and a return to these better ground conditions I can see her posting a much improved performance today. 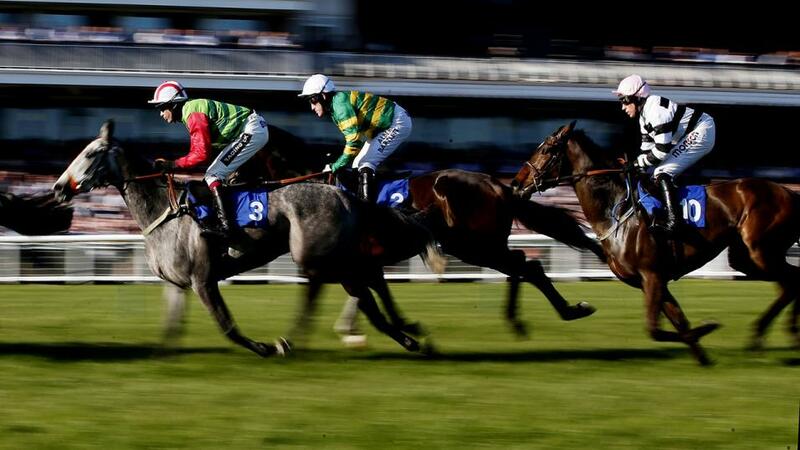 The danger is the market principle Kilfilum Cross who finished second in the Kim Muir at last month's Cheltenham Festival and has to be respected. However, the Henry Oliver yard are struggling for winners at the minute, no winners from 14 starters over the last two weeks and Kilfilum Cross also has a 3lb rise in the weights to contend with today. That may be a tough ask in this company. Don't forget, at the [6.0] currently quoted for the selection, she also qualifies for the Betfair Sportsbook 3/1+ promotion. Unfortunately we won't see John Gosden's superstar Too Darn Hot in today's race as he was ruled out with a leg problem on Wednesday and his three-year-old career will have to wait for another day. But, that does give a great opportunity for the other runners to land a big prize in this Classic trial. I like the chances Tom Dascombe's runner Great Scot who wasn't beaten that far when finishing fifth (only beaten a length and a quarter) in a Group 1 at Doncaster last time out, where he was slightly hampered. He more than paid his way as a two-year-old, as well that Grade 1 effort he won in Listed company at Haydock in September and prior to that his maiden and a handicap. Providing the colt is returning to the track with the same attitude as he had when we last seen him, he could be tough to beat today and one to follow this season. It's hard to see either of the selections out of the frame, so as well as staking them individually, I will also be putting them 1pt each way double. If they were both to fall short and only get placed at [6.0] and [5.5] that returns 3.8pts (profit 1.8), that will just about cover the two single selections.